A great question that a lot of bloggers have in their mind when starting a website (or blog) and as an answer to Mr. Ayush Chand on my previous article . 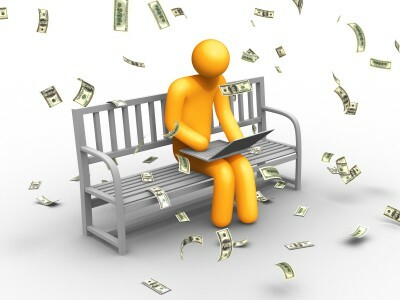 Well talking about its effectiveness it is one of the best things ever on the internet to earn money and not only for bloggers but also for those people who own websites or membership sites as well. A lot of people such as Michael Dunlop of Income diary and Adam Horwitz of Adamhorwitz.tv have made a great fortune using this method. So I am now to share this secret with you guys so you may also turn a millionaire. Fine so to start with in simple words Affiliate marketing it is a simple method where you sell others product or services and earn a commision for it. This is as simple as this and the whole process as to how you get into it is also simple. Big companies such as HP, Apple and Microsoft simply go to certain affiliate marketing providers and provide them with their ads about their products and then pay them for it. You go to the people (who are the middle men) and get the products which may be available in the form of Banner advertising or text links and so on. Then you place them on some relevant posts or places on your website or blog. Thats it man. You’re done. In short words you affiliate yourself with a certain product and work for it to get it sold. You can also use other ways such as Facebook or Twitter to promote it but I don’t recommend it. You can use them to promote your website with the product and get it sold. I use these two and I feel(and even Michael Dunlop) that these are the best places for affiliate marketing. I’ll discuss about them and other alternatives in may next post but till then read some more good articles on them to get the concept more clear. So once again Have a nice time blogging (As I am Having). Thanks for explaining it in a simple words. 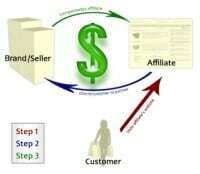 Finally I got the main concept of Affiliate marketing term. from my point, affiliate marketing is buying and selling…..
making money from affiliate marketing is easy. the only thing you have to keep in mind the product should meet teh niche of your blog. I think selection of individual products according to website niche is the best way to earn via affiliate marketing. Amazon provide very low commission on per sale. Most of popular software companies such as Corel,Adobe like CJ ( commission junction) to promote their products. Thank you for answering my question and for including my name in the post! You’re most welcome, Its like I always work for people and help them out so it was like answering your question and next I’d be answering Ms. Jasmine’s question who commented on this post of mine. Good article on affiliate marketing. I am still a beginner in this area and is interested to learn more! Looking forward to your next article. but i could not get anyway to register and use click bank site…..
hi shawn, you have forbidden to affiliate via twitter and facebook. but didn’t give the exact reason here. i think it’s important to know. please write another article to inform us what we should not do as an affiliate marketer. Social networks can appear to be a great way to market your product. You all have a great doubt.I understand even I had this doubt in my mind before, but for the time I would like to say this that Facebook and Twitter are only for getting connected with your friends, family or followers and not to sell goods or services or do business. So its better not to do that but if you want to you can and a lot of people do it too. I ll surely write on that soon. Stay updated on my website(www.axetue.com) as well. In case of affiliate marketing… the product should match the blog and visitors need… this way one can get success in affiliate marketing….. Thanks for adding this P.S. to my article. Have a nice time blogging. Nice and Simple Explanation of Affiliate Marketing..i also never understood this term fully..this post cleared out some doubts…thanks..
Well explained article Shawn. Every blogger keep on wondering about how to make money via Affiliate makerting but only few of them have basic knowledge about it. I am sure your article will help many newbie bloggers and blogger who want to earn money via affiliates. Actually affiliate marketing is really something that has turned a lot of them as millionaires. So I said this which is completely true and I also said this to make the readers more interesting in this article as I believe if they are not interested then they may not succeed. Even I know everybody reading this article may not turn millionaires but ya a lot have turned till now. I don’t really agree with encouraging affiliate marketing at least at the start of one’s blogging “career”. I think it’s way better to build some influence and audience before anything else, resorting to affiliate links just when people got to know your content and will tolerate your banners. It’s not taken for granted, mind you, a blog too focused on affiliate links will stand out too much and will give the impression you got your mind just on money. And, in blogging, that’s a very bad idea. I believe you’re right till a certain extent but perceptions differ from people to people and this is what I, Michael Dunlop and Adam Horwitz think. I agree with you Gabriele, one should make a strong web presence before starting affiliate marketing with blogs. There are plenty of medias are present for affiliate marketing, so without knowing the right tricks for the right place will hurt the marketing career. 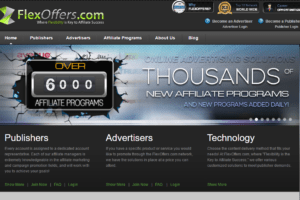 This post is very complete on introducing affiliate marketing. Thanks. Ok, You have really made me to think about an online course right now.. Thanks a lot for reading my article and apreciating it, I’m sry to keep u waiting but ya I’m writing my next article for you where I’ll talk more on affiliate marketing so you get to know more.